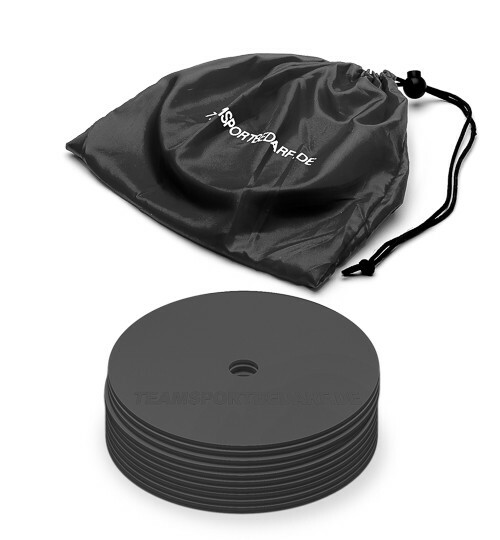 You will receive a set of 10 Marker discs incl. bag. 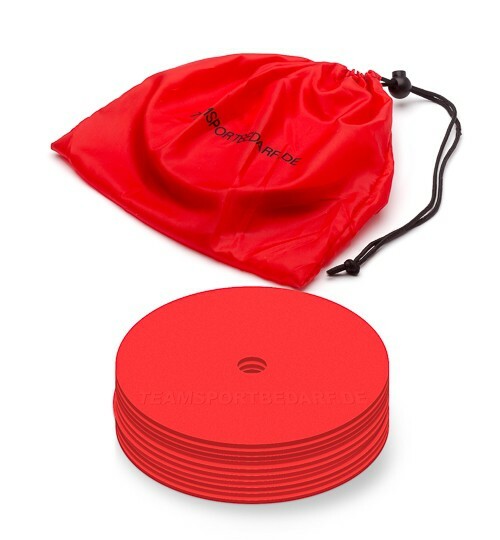 You will receive a set of 10 Marker discs, including bag. 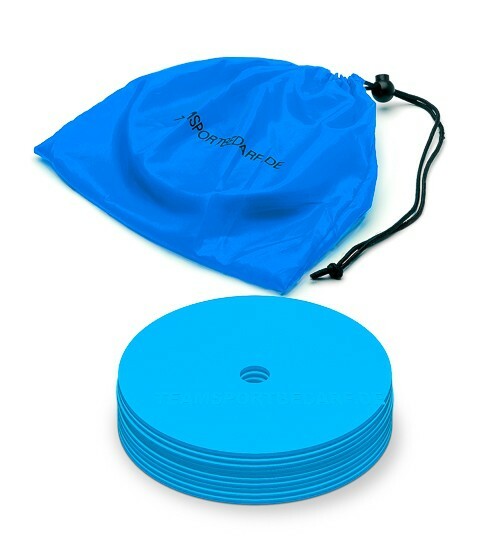 The discs of elastic plastic are solid and resilient, have a diameter of 15,5 cm each and are about 2-3 mm thick. 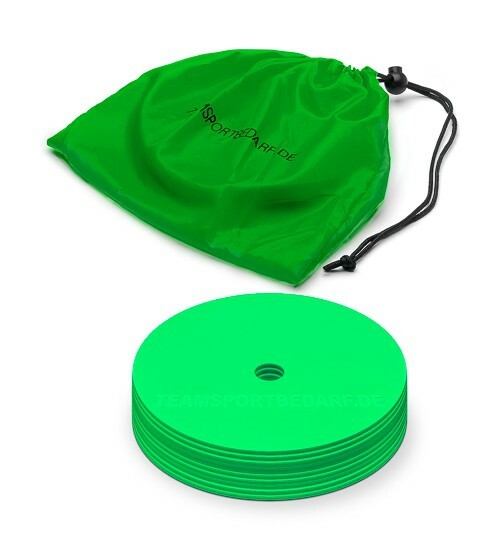 Use them for marking fields or courses, whether grass, artificial turf, hard courts or indoors. 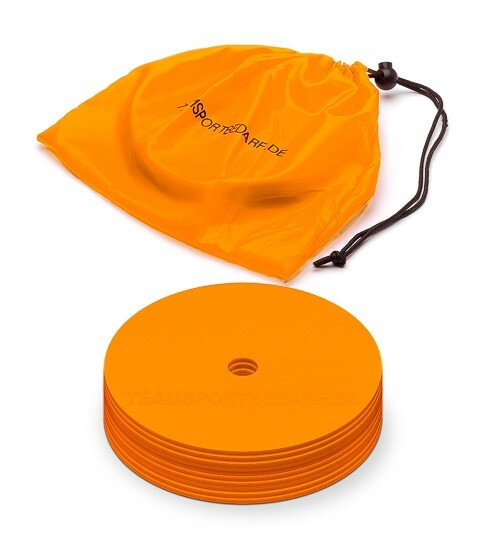 Our marker discs are ideally suited for the training of dribbling and other agility movements, or for cognitive training. 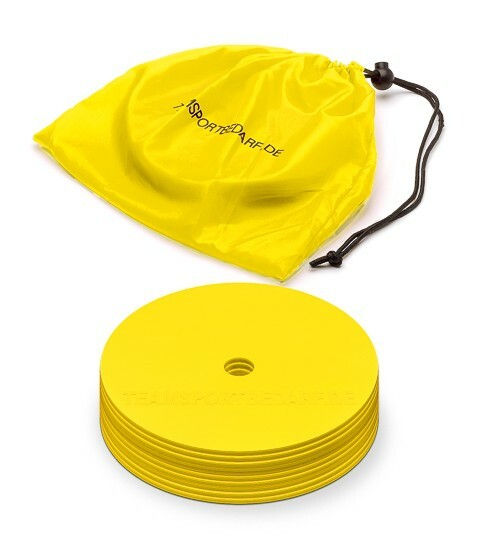 Clubs can order marker discs in their club colors immediately! 9 different colors (orange, blue, red, yellow, neon green, pink, white, black or neon yellow) are available. Just select the desired color above and place it in the cart. 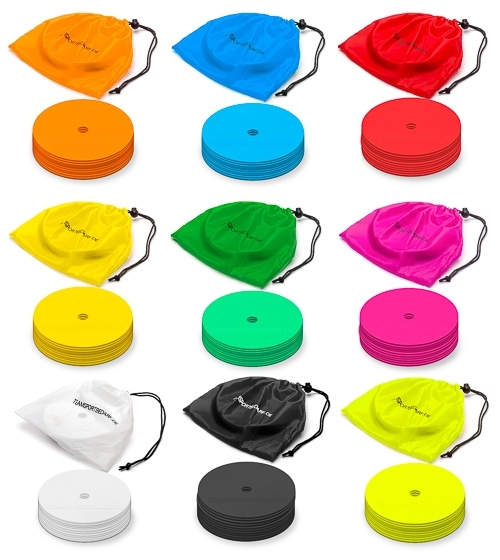 Within the set of 10 colors can not be mixed. Teams from professional sports also utilize our training exercises. 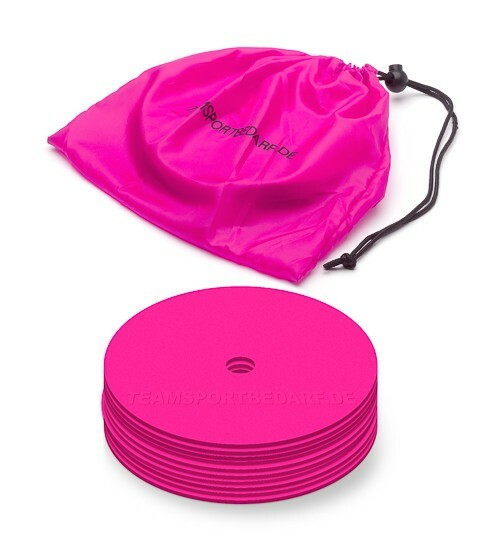 The accessory exercises can also be bought in our shop. 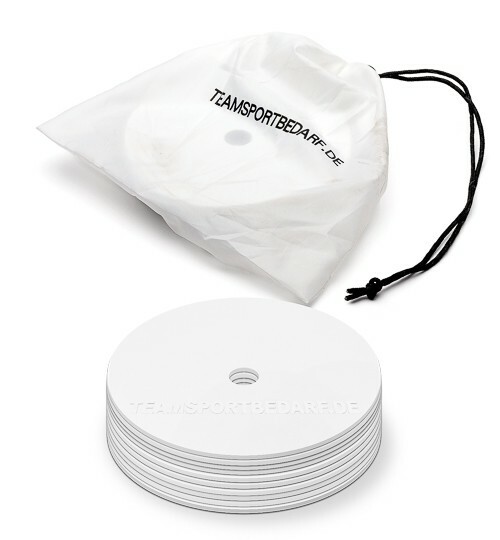 You will receive a detailed invoice for every purchase!